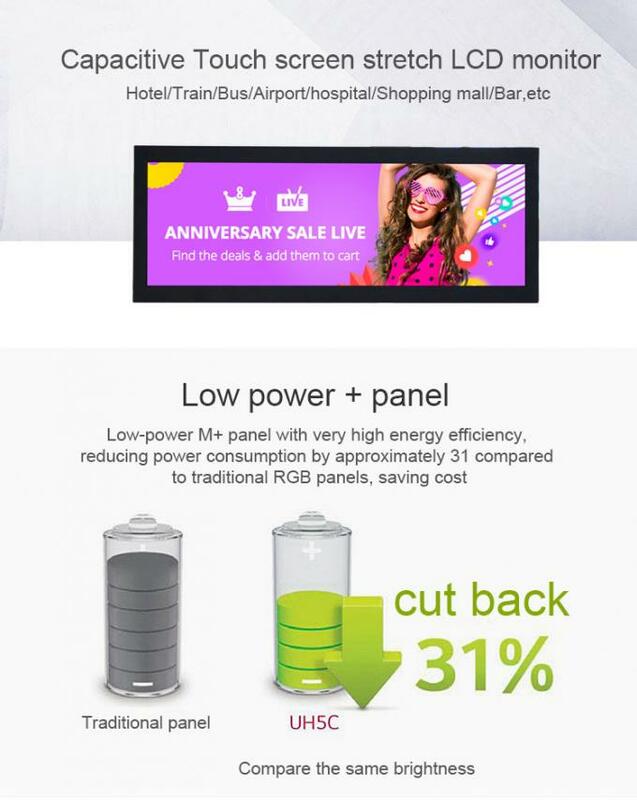 This is GENEVISION 2019 newly developed lcd stretched display, it's cut from 21.5inch screen, as we need to customize, so MOQ should be 5pc, we tailor made the metal housing and PCAP foil touch screen, it's designed for user use their own media player box and software, so our solution is just a monitor with HDMI in, DVI in and VGA in, the wall-mount bracket is also designed for this kind of stretched display, as the back space is little and narrow, vesa may not fit well, with this kind of wall-mount bracket design, you can install very easy anywhere. 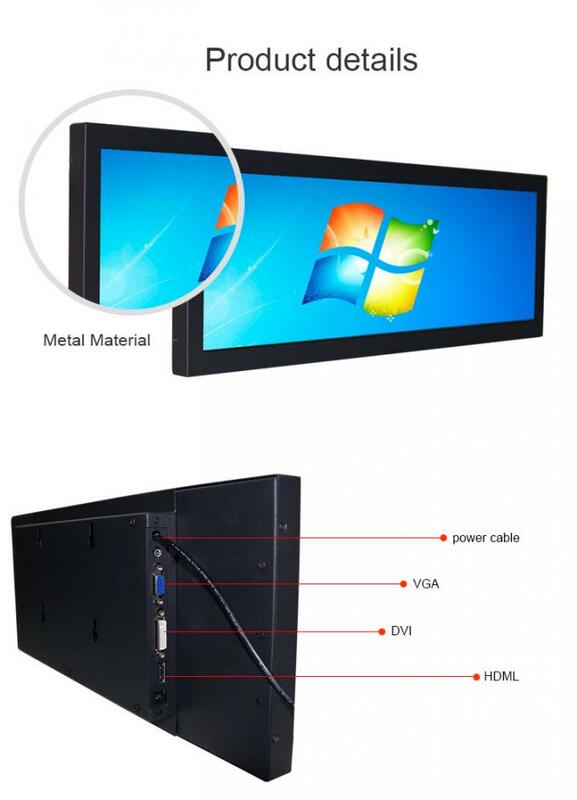 10-point PCAP foil touchscreen is a plus for this lcd advertising bar display, we make it interactive so people can use it as a query machine in supremarket. PCAP foil touch looks similar to PCAP touchscreen, touch speed is similar to each others. 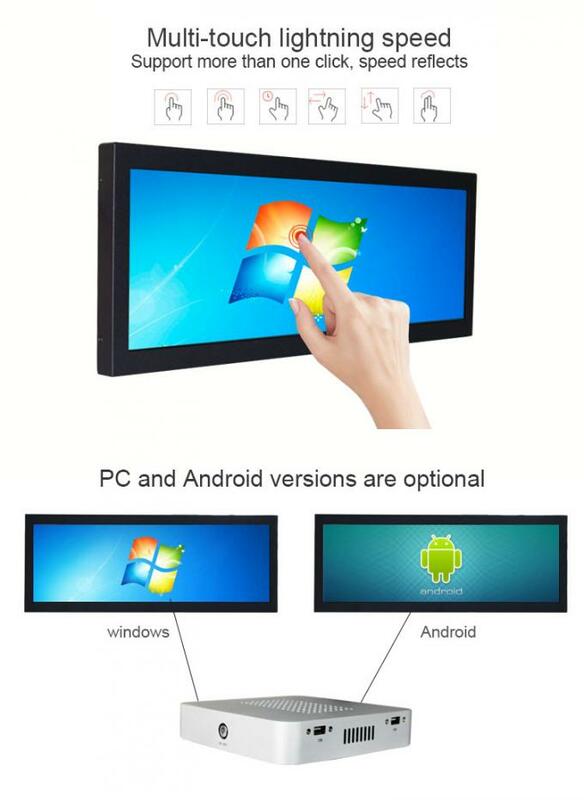 If the lcd screen is bigger, we can also do IR touch frame. Also we can make it in open frame and you inbuilt into other housing.